Check out this gently-used 2006 Chevrolet Suburban we recently got in. Drive home in your new pre-owned vehicle with the knowledge you're fully backed by the CARFAX Buyback Guarantee. On almost any road condition, this Chevrolet Suburban LT offers solid performance, reliability, and comfort. One of the best things about this Chevrolet Suburban is that it has low, low mileage. It's ready for you to truly break it in. 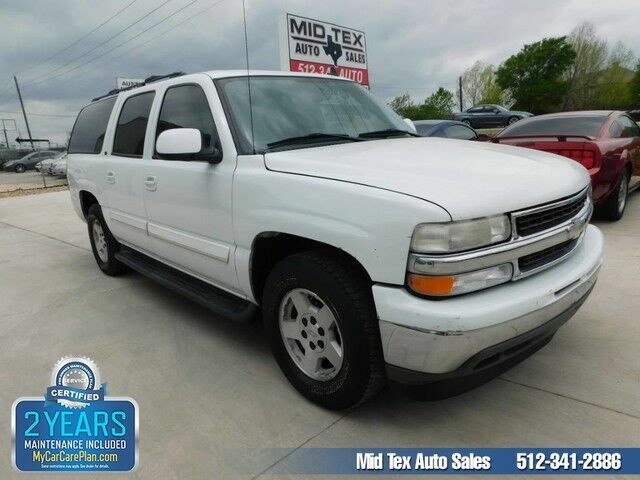 There are many vehicles on the market but if you are looking for a vehicle that will perform as good as it looks then this Chevrolet Suburban LT is the one! Visit Mid Tex Auto Sales online at www.midtexautosales.com to see more pictures of this vehicle or call us at 512-341-2886 today to schedule your test drive.